A mere 15 minutes away from Chiang Mai’s airport, you’ll find what feels like an entirely different land, and one of the best resort properties in Thailand. Here’s our review of what to expect when you stay at the Dhara Dhevi resort. Baba Beach Club is the perfect place to kick back and relax in Phuket’s beauty. Here’s our review of one of the best places to stay in Thailand. Singapore. Before ever setting foot in the country, its name was all I knew about it, and the only reason I initially decided to visit was because I was in Southeast Asia for a few months and it was a cheap flight. But what I found once I got there surprised even me; the people, innovation and rich history of the country brought me back not once, but twice more in the span of three months, making it one of my favorite countries in the world, which says a lot given that I’ve been to places like Kenya, India, Jordan, Tajikistan, Belgium, Cuba and Iceland. Before it was the fourth richest country in the world, Singapore had a rough history. In the 14th century, Singapore was an integral trading port known as Temasek. The Portuguese eventually came over in the 1600s, and attacks on the port were frequent. In the 1800s, Sir Thomas Stamford Raffles arrived and the country became a crown colony of Britain. The only issue was that the Dutch also laid claim to the land, and what ensued was a hefty amount of political maneuvering to avoid conflict while allowing the British to still claim it as a crown colony. I won’t ruin the rest of the story for you, but the country’s rise from the swamps of the Straits of Malacca to being one of the four Asian Tigers (high-tech industrialized Asian countries) is admirable and inspiring. You can spend the better part of a day getting lost in all of the history at the National Museum of Singapore. 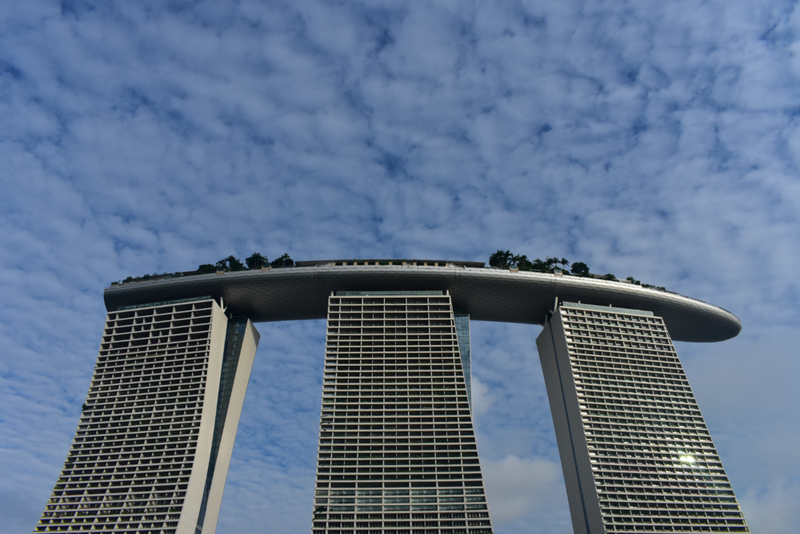 Given the fact that Singapore amassed an incredible amount of wealth in a relatively short amount of time, and without any significant natural resources, innovation is at the core of the Lion City. And while “innovation” is always a nice and lofty term to throw around to impress people, the way it manifests in Singapore is downright cool. One of these innovations is the Supertree Grove, which is a grove of 12 supertrees (18 in total throughout the property) located at the Gardens by the Bay. A supertree is an artificial tree that is designed to mirror and replicate the function of real trees. They’re anywhere from 25 to 50 metres tall (80 - 160 feet /16-story building) and are built with a concrete core, trunk (which reinforces the core), planting panels (panels installed on the trunk so that living plants can live and grow on them) and a canopy. Photovoltaic cells (the little black and blue pieces that make up solar panels) are attached to them in order to harness solar energy, which can be used to light the trees, just like how real trees undergo photosynthesis. They also collect rainwater, which can be used for irrigation and fountain displays, as well as serve air intake and exhaust functions as part of two conservatories located not far away from the grove. Visitors can view a beautiful light show every night at 7:45pm and 8:45pm. I suggest you grab a spot on the ground and prepare to be amazed. It’s important to note that Singaporean innovation isn’t only limited to cool-looking trees. It extends to how to country purifies water, runs it’s hyper-efficient metro (Mass Rapid Transit) system and much more. Other places to visit include Fort Canning Park, Botanic Gardens, Sentosa and Clark Quay for a night out. Even after visiting Singapore three times, it’s still a bit difficult to explain Singlish in simple terms. It’s sort of like another language, but more so like a dialect consisting of English, Malay, Tamil and Hokkien words. Everyone in Singapore speaks it, but to different extents. Acrolect - This sounds like your run-of-the-mill Standard British English. It’s spoken clearly, and anyone who speaks English will be able to understand it. Mesolect - This sociolect has different verb tenses and other variants that make it a bit more difficult for someone outside of Singapore to understand. It contains words like “lah” in it. Basilect - This is the hardest sociolect for anyone outside of Singapore to understand. It’s heavily peppered with non-English words and people who speak it tend to go full Singaporean with a quick, clipped accent, which is cool in and of itself. I found Singlish to be one of the most fascinating aspects of the country. In 2000, the government created a campaign to increase proficiency of Singaporeans speaking Standard British English, called the “Speak English Good Movement.” Rarely does anyone in the country not speak English, unless they were born before the 1950s or prefer not to learn it. Many Singaporeans, given the diversity of the country, speak a second or third language native to their ethnic roots. When I first arrived in Singapore, I was shocked by how clean and orderly the Mass Rapid Transit (MRT) system was; people waited in line before the doors opened and entered only after people exited the train, which was completely foreign to someone like me, from New York City. The second observation that pleasantly surprised me was seeing public signs in four languages: English, Chinese (Mandarin), Tamil and Malay. Expatriates aside, the country was built on immigrants. Remember those Chinese immigrants who came over, as well as the Indian convicts? They, along with the Malay population, make up 95.7% (2013 figures) of the country’s population, which you can see from neighborhood to neighborhood. Ethnic diversity is not only a marvelous attribute to have, but it’s also mandatory for a country to grow and thrive in a humane fashion, meaning that those who don’t look one way or another aren’t viewed as outcasts; an unfortunate reality in countries with more homogenous populations. But that’s not to say that ethnic diversity is a panacea to all social, cultural and political problems. In fact, race is at the heart of Singapore’s areas for improvement, given that people still discriminate against others based on their heritage. A long history of immigrants and expatriates (what’s the difference, really) flooding into the Lion City made it fertile land for a foodie’s paradise, which it certainly is. 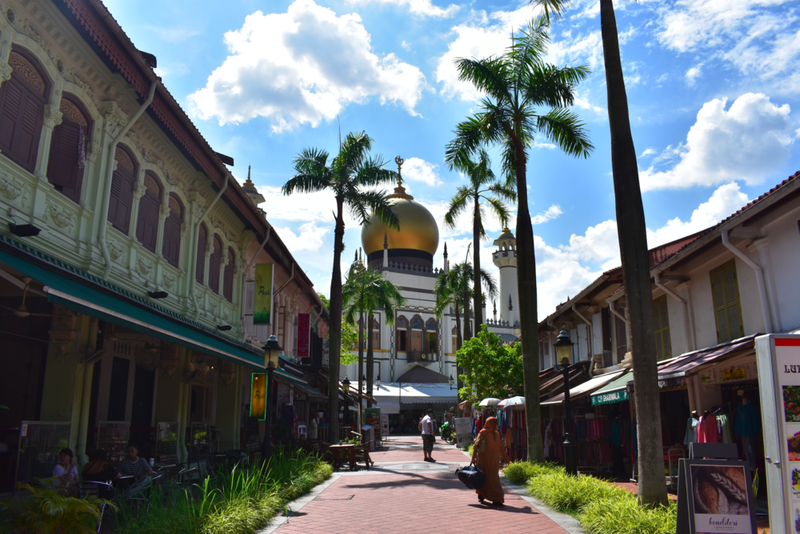 Tourists and locals alike visit Hawker centres, which are complex food courts featuring dozens of cuisines, beverages and sweets from China, India, Malaysia and other countries. I even saw one place selling Costa Rican food. Now, it’s important to note that not all hawker centres are made equal. Some focus more on one type of ethnic cuisine over others. 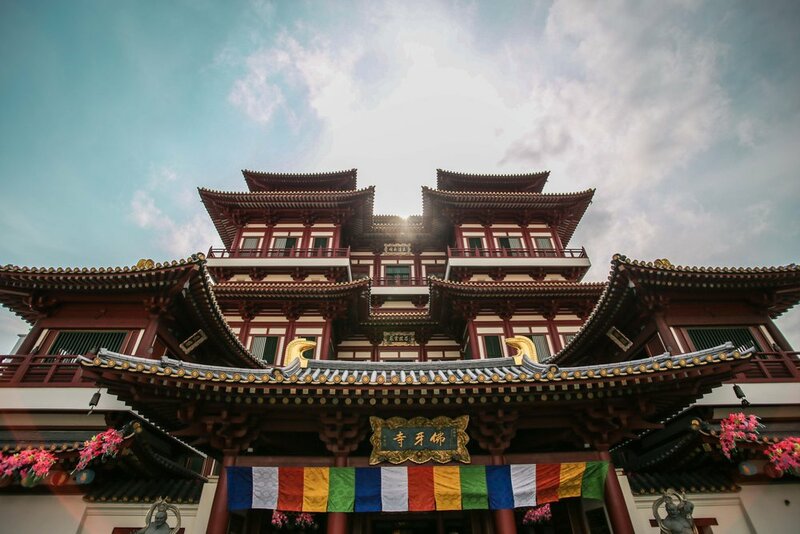 My personal favorite, Lau Pa Sat, is also one for tourists, but that doesn’t take away from the fact that it features a wide array of delicious food. I recommend the Indian vegetarian stall and a nice cup of fresh soursop juice with the little bits of fruit in it. Other spots I enjoy include: Working Title (out of this world burgers and fries), The Lab (Breaking Bad themed brunch spot), Toast Box (a must have experience of Singaporean kaya toast), Piedra Negra (Mexican) and All In at Bali Lane (ice cream and desserts). There are many more reasons why Singapore should be on your Southeast Asia travel list, such as its vibrant nightlife, hipster-ish but worthwhile bookstores and bakeries (did I say it was foodie paradise? ), but you’ll just have to go and see for yourself. The Lion City may not be on everyone’s “must-see” list, but if you’re in the area, there’s no reason not to go. There’s something for everyone and if you stay open-minded, you won’t be disappointed. Ever been to Singapore or want to go? Share your thoughts in the comments below. The more the merrier. Mateo is a writer who quit his flashy job in NYC to live life on his own terms. He’s done everything from working at an orphanage in Nairobi to building a new university in Abu Dhabi to sleeping on volcanos in Guatemala. And right now, he’s working to get his novel published. His writing has been featured internationally in publications including Matador Network, GoAbroad, Víkurfréttir, Caribbean News Now and Black & Abroad. Regardless of where he is, he’s always working. To keep up with him, follow him on Instagram & Twitter at @AskMateo and read one of his elaborate stories at SwagPapi.com. Boring or Bizarre? 3 Asian Foods For Well Traveled Foodies to Conquer! Contributor Franny gave us her list of 10 things to do in Thailand with tips for Bangkok, Chiang Mai and Phuket! From Muay Thai boxing to a couple of brushes with danger, Mateo's found the perfect recipe for adventure in Thailand. Black & Abroad ambassador Brianna takes us through her trip in Seoul, South Korea! Black & Abroad ambassador Kierra gives us her reasons for choosing Korea to teach English. Black & Abroad Ambassador Kelley gives us a guide to maximizing a short trip to Tokyo. Black & Abroad Ambassador Barb takes us on her solo trip through Siem Reap and gives us tips for a fantastic journey through Cambodia.